Located between the Qattara Depression and the Egyptian Sand Sea in the Libyan Desert, Siwa Oasis is one of the most isolated settlements in Egypt. Siwa Oasis is a beautiful island filed with olive tress, date palms, central lake and beautiful villages around. The fascinating historical treasure and mesmerizing natural beauty makes Siwa Oasis a perfect place to spend a relaxing holiday. Siwa Oasis is home to Egypt's native Berber population with around 25,000 inhabitants. Thousands of tourists visit Siwa Oasis every year and in recent years tourism has become an important source of income. The travelers can use the bus service to reach Siwa Oasis. But the most cost-effective and accessible way to reach and explore the attractive destinations of the Oasis is by hiring a car with Egypt Cars Rental. Siwa Oasis has many budgeted and luxurious hotels and accommodation options for the travelers. The travelers can easily choose the hotels of their preference and enjoy a comfortable stay. Siwa Oasis is a traditional and conventional place offering many unique products like crafts, jewelry, wedding dresses and baskets woven from date palms. The travelers in Siwa Oasis can buy the regular and special dates stuffed with chocolate and almonds. The famous attractions of Siwa includes Temple of the Oracle, Cleopatra's Bath, Fatnas Spring, Gebel el-Mawta / Mountain of the Dead, Gebel Darkur, Shali and Temple of Amun / Temple of Umm Ubaydah. Whether in Egypt for pleasure or business, Egypt Cars Rental offers the best car hire service in the industry. 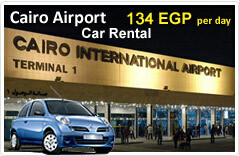 Egypt Cars Rental offers special discounted car hire packages for both business and leisure travelers. At Egypt Cars Rental the travelers can find a wide range of cars which includes small cars, medium cars, big family cars, mini vans, luxurious cars, sports cars, compact cars, etc. The travelers can easily choose the cars of their preference suiting their budget and needs.